Egypt Travel Egypt offers Egypt Nile Tours & Red Sea Travel in a new light, combining top quality accommodation, first class tours and a range of other services in Cairo, Luxor, Aswan and Red Sea.etc. After breakfast you will be accompanied by your personl guide to Giza Plateau to visit the Great Pyramids of Cheops, Chefren and Mykerinus - Famous Sphinx and Valley temple facing the great statue. Additional visit to the Solar Boat infront of Cheops Pyramid (extra ticket on spot) Lunch included during the tour and then proceed to Sakkara area to visit Sakkara Complex and first pyramid ever built (Djoser Pyramid). Move to Memphis; Old kingdom's capital and famous Necropolis. Overnight in Cairo. Breakfast at the hotel and then you will be escorted by your private guide to visit: Egyptian Museum, Treasures room for the child king Tutankhamen, alongside many other fascinating artifacts. Additional visit to the mummies room at the museum (extra ticket on spot) Lunch through out the tour at local restaurant, then moving to visit Saladin Citadel including Mohamed Ali Alabaster Mosque inside. Continue to Coptic Cairo to visit the Hanging Church and Ben Ezra Synagogue. Combining fascinating history with shopping in a lively Khan El Khalili Bazaar, which dates back to 1382. Later, you will be transferred to Giza railway station to board the sleeper train to Aswan. Dinner and breakfast will be served on board - overnight inside your compartment. You will be met at Aswan station, then transferred to your hotel, Optional to enjoy a tour to one of Egypt's top tourist attractions, Abu Simbel temple, which were originally carved out of the mountainside during the reign of Pharaoh Ramesses II in the 13th century BC, as a lasting monument to himself and his queen Nefertari. Overnight in Aswan. Breakfast at your hotel in Aswan. Then transfer to embark your Nile River Cruise before Lunch, then enjoy visiting the world famous High Dam, The awesome Philae temple, which is devoted to the two goddesses Isis and Hathor , and the largest known ancient obelisk, located in the northern region of the stone quarries of ancient Egypt, the Unfinished Obelisk. Dinner on board and overnight in Aswan. Sail to Kom Ombo, have breakfast on board and Visit the Temple shared by two gods Sobek & Haeroris in Kom Ombo. Sail to Edfu, lunch on board after that Visit the best-preserved cult temple in Egypt, Horus Temple in Edfu. Take afternoon tea during sailing to Esna. Dinner and overnight on board. Sail to Luxor, have breakfast on board then Visit the West Bank, take an excursion to the royal cemetery for 62 Pharaohs, Valley of the Kings, then to mortuary Temple of Queen Hatshepsut, which was built by the architects of the New Kingdom Pharaoh Hatshepsut in the 15th century BC, at El-Deir El-Bahari & the Colossi of Memnon. Lunch on board. Enjoy afternoon tea during sailing. Dinner on board Overnight in Luxor. Breakfast on board, Disembark from your Nile cruise after breakfast . 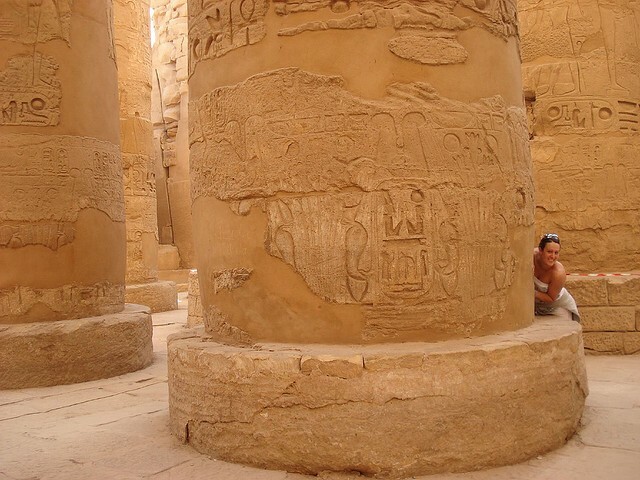 Then transfer to visit Karnak & Luxor temples. In the afternoon transfer to Hurghada on the Red Sea. From Luxor to Hurghada is about a 03 hour and half drive. Overnight in Hurghada. Optional tours to experience the exquisite diving and snorkeling among the Red Sea coral reefs and see some amazing rare fish. Or choose one of the many other activities such as windsurfing, sailing and deep-sea fishing. Overnight in Hurghada. After breakfast, you will be transferred to Cairo by an air-conditioned bus about a 6 hour drive far from Cairo. Overnight in Cairo. Breakfast at the hotel in Cairo - free time before your flight - check out and then transferred to Cairo International Airport for final departure. Accommodation for 3 nights in Cairo including bed & breakfast. Accommodation for 1 night on sleeper train on half board. Accommodation for 1 night in Aswan including bed & breakfast. Accommodation for 3 nights on 05 star superior cruise on full board. Accommodation for 3 nights in Hurghada including daily breakfast. Lunch during your trip in Cairo. All sightseeing tours on the cruise sharing Egypt Travel group. Tour to the High Dam, Unfinished Obelisk, Temple of Philae in Aswan. Transfer from Luxor to Hurghada by an A/C vehicle. Transfer from Hurghada to Cairo by an A/C bus. A bottle of mineral water per trip in Cairo and Giza. Free Mobile phone during your stay (charged) about (30 min Local calls or 2 min. International Calls).